The pages attached will give you information needed to help us have a fun, organized, and successful school year! You will find important general information for all groups on this page. Click on the files to download them. Auditions will take place on Friday, February 15th from 9:00-10:30am at SAHS in the dance room (F400). 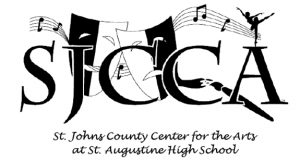 If you are interested in still being a part of the dance program at SAHS, contact your school’s guidance department to get more information on how to apply for St. John’s County Center for the Arts!